Have you heard the latest David Lynch movie? Actually, it’s not a movie at all. Not even a TV show like Twin Peaks or the lesser-remembered On the Air. Crazy Clown Time is an album — the first “solo” album by the 65-year-old Montana-born director of Blue Velvet, Mulholland Drive, and other surreal, dreamlike cinematic endeavors. But as Lynch fans know, the man is no stranger to making music. Since the lady came out of the radiator in Eraserhead in 1977, music has been an essential factor in creating the mood. Along with Danger Mouse and Sparklehorse’s Mark Linkous, Lynch was part of 2009’s Dark Night of the Soul, a trip-hoppy work featuring a small army of guest vocalists, including Iggy Pop and Frank Black. (Sadly, two of the album’s vocalists, Linkous and Vic Chesnutt, committed suicide.) Lynch also wrote and produced the lush but mostly plodding This Train by Chrysta Bell, released a couple of months ago. Crazy Clown Time is Lynch’s peculiar vision. One might argue that it’s a continuation of the dark electro-pop of Dark Night of the Soul and that he picked up a lot of musical ideas from Angelo Badalamenti, the composer responsible for Lynch’s best soundtracks. 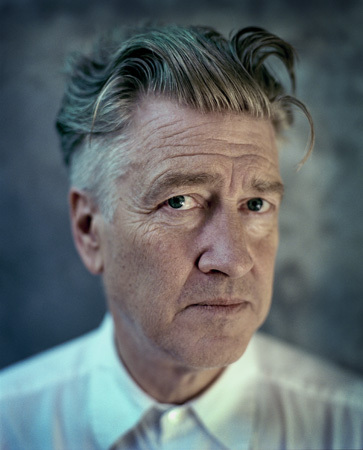 There’s truth to all that, but through his past work, he’s established what can only be called a David Lynch sound. This album, with its slow minor-key sonic backdrops and distorted vocals, builds on that. Lynch saves his best on the first track on the album. “Pinky’s Dream” features the vocals of Karen O of the Yeah Yeah Yeahs. Over heavy drums, tremolo guitar, and otherworldly squiggle noises, Karen O seems as if she’s scared and desperate. I’m not sure who Pinky is, but it sounds as if someone could get killed any minute. Then there’s “Strange and Unproductive Thinking,” in which Lynch’s voice sounds like it was stolen from an old Laurie Anderson record. This is a seven-minute monologue featuring a funky beat and a bass line reminiscent of David Byrne and Brian Eno’s My Life in the Bush of Ghosts. Here Lynch speaks authoritatively about the connection of dental and mental health. Put Crazy Clown Time on and close your eyes. The visions dancing in your head will provide images to create stories as spooky, mysterious, and funny as any Lynch film. Check out www.davidlynch.com. 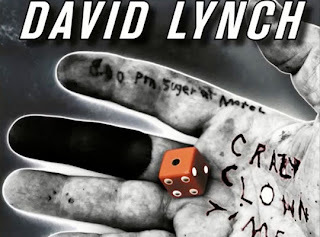 As far as movie soundtracks go, in my book (an admittedly strange book), nothing compares with those of Lynch’s films, for both the original scores and the existing songs chosen for the movies. Here’s my favorite music from the world of Lynch. * “Up in Flames” by Koko Taylor. The late Chicago blues queen appears singing this song only for a few seconds in the movie Wild at Heart, but it’s there in all its eerie glory on the soundtrack album. * “In Heaven.” In one of the most bizarre scenes in one of the most bizarre movies Lynch ever made (and that’s saying something! ), the protagonist of Eraserhead (Jack Nance) has a vision of a tiny woman with horrible growths on her cheeks coming out of his radiator and singing this strange little tune, accompanied only by what sounds like a pump organ. The singer is portrayed by an actress named Laurel Near, but I’m not sure whether she actually sang it. A decade or so later, The Pixies recorded a wonderful cover. * Floating by Julee Cruise. Cruise provided the ethereal soprano voice and Badalamenti wrote the wispy, frequently foreboding melodies and arrangements on this 1989 album. Lynch wrote the deceptively innocent lyrics. “Mysteries of Love” had been used in Blue Velvet, while several of these haunting tunes ended up in Twin Peaks (the show and the subsequent movie). An instrumental version of the song “Falling” became the show’s opening theme, while Cruise sometimes appeared as a nightclub singer performing songs from this album. * “Sycamore Trees” by Little Jimmy Scott. This song was performed by the elderly high-voiced R & B singer in the very last episode of Twin Peaks — in the Black Lodge, with the dancing dwarf, no less. * “Wicked Game” by Chris Isaak. 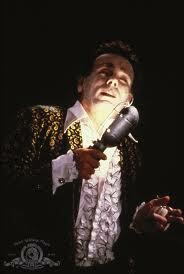 His voice is often compared with Orbison’s, and maybe Lynch was conscious of that connection when he chose it for the Wild at Heart soundtrack. But it’s mainly the smoky, sinister, twangy guitar in the song, not the voice, that we hear in the scene in which Sailor makes a startling revelation to Lula as they drive through the night. * “Love Letters” by Ketty Lester. This is a gospel-flavored torch song that was a hit in the early ’60s. It’s used in Blue Velvet as Jeffrey (Kyle MacLachlin) discovers a grisly murder scene. * “The Loco-Motion” by Little Eva. Somehow, a line of naked prostitutes dancing to this song in Inland Empire helped me appreciate this early ’60s hit far more than Little Eva did on her own. And unlike some scenes in that three-hour mess of a movie, this scene didn’t make me doze off. Radio Lynch: I’ll take you on a joy ride, neighbor, and send you some love letters straight from my heart on Terrell’s Sound World this Sunday night. 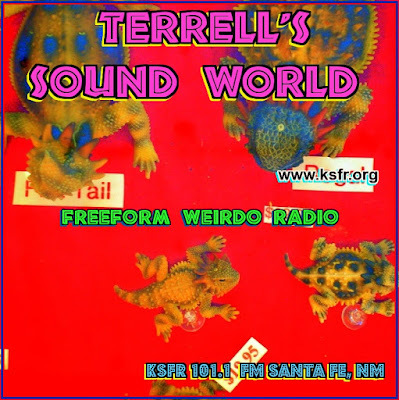 The show starts at 10 p.m., and I’ll do my Lynch set shortly after the 11th hour on KSFR-FM 101.1 or www.ksf.org . You should hear The Meteors' version of "In Heaven"!